We are ecstatic that you're here!! 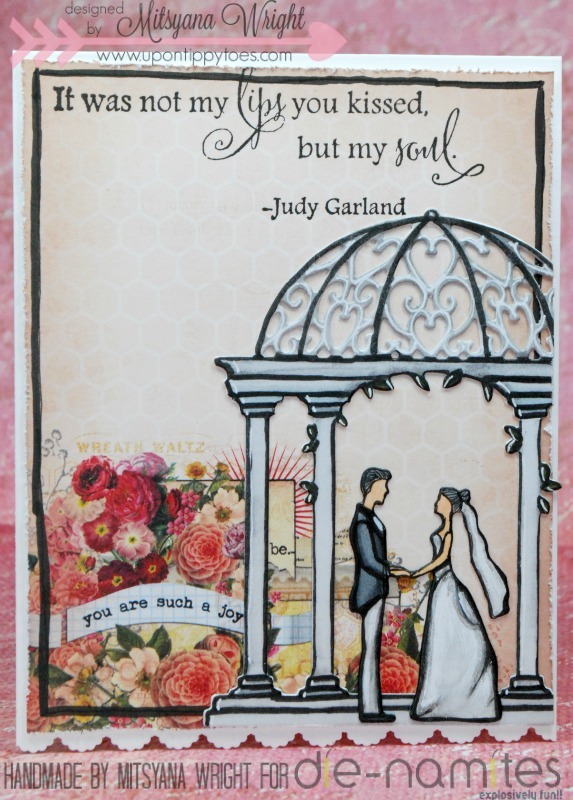 Please hop along as we share with you our projects that incorporate beautiful dies with awesome high quality stamps. Each day we'll have new projects featuring talented artist from 2 amazing design teams! Hello, Crafty Friends! 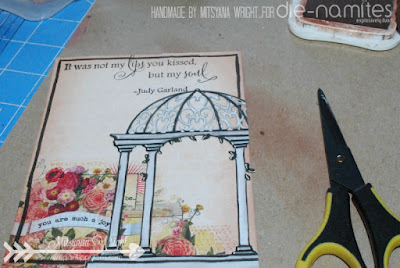 Welcome to day 2 of the Die-Namites & So Suzy Stamps Blog Hop as we continue on with more crafty fun and inspiration!! 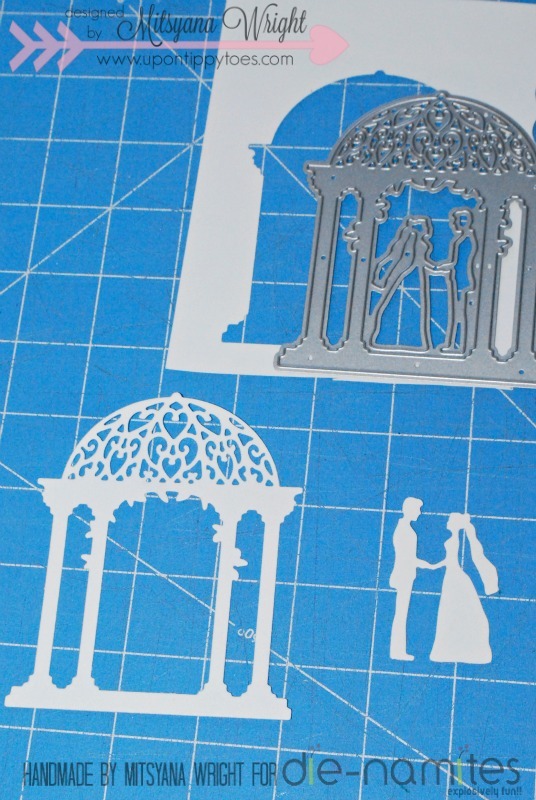 I started by die-cutting my gazebo and couple out of plain white cardstock. 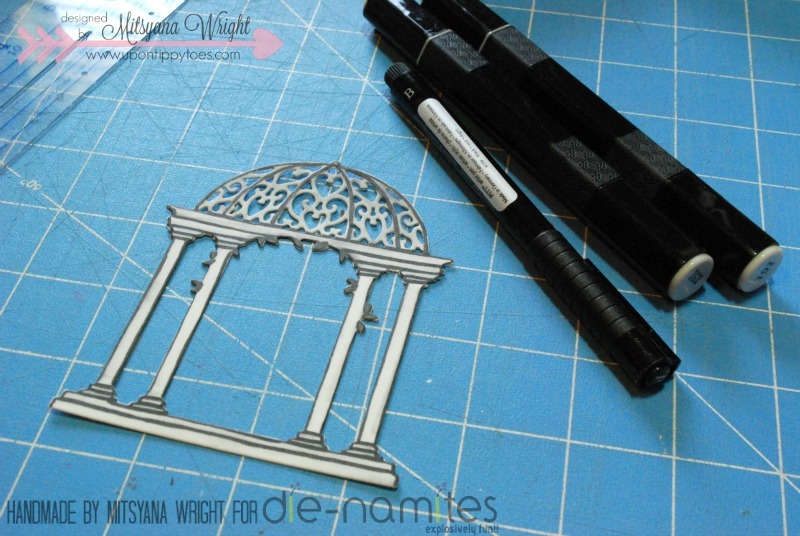 I colored in the gazeebo with gray Spectrum Noir Markers (IG1, IG2, IG4) and leaves in IG4. Then I outlined and drew in details with a PITT Artist Pen in XS. I used Spectrum Noir Markers FS3 & FS6 for the skin color. And, I used s PITT Artist Pen (XS) for the fine lines and details. 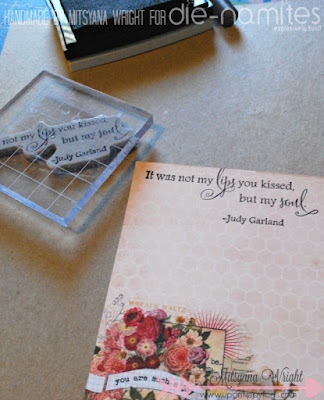 Then, I used VersaFine Onyx Black ink to stamp my sentiment... this beautiful quote by Judy Garland! Because So Suzy Stamps are deep red rubber stamps, every impression comes out crisp and clean. After I stamped my sentiment, I inked the ages of my card front with brown chalk ink. 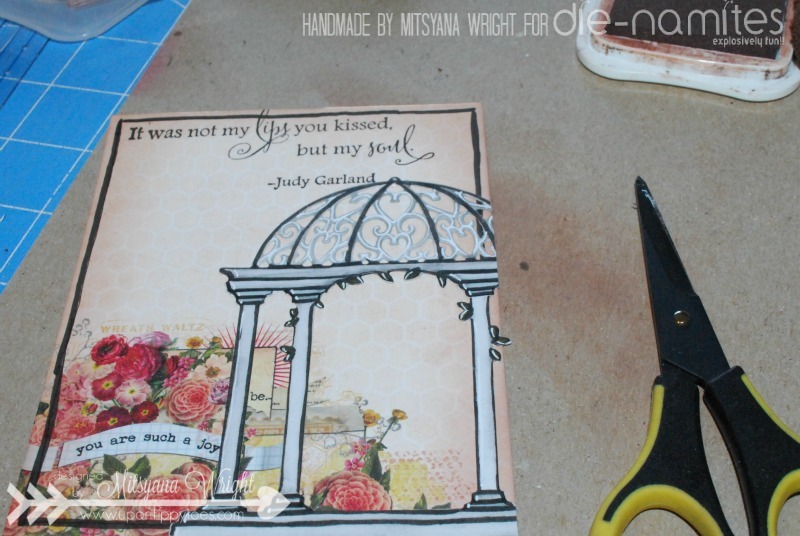 Then I attached my arbour onto my card front, letting it over hang off the edge, and trimming away the excess. I used a Brush (B) PITT Artist Pen to doodle lines around the perimeter of the card front. Then used a distresser to rough up the edges. I made my card base from plain white cardstock and used a scalloped border punch along the bottom of the card. 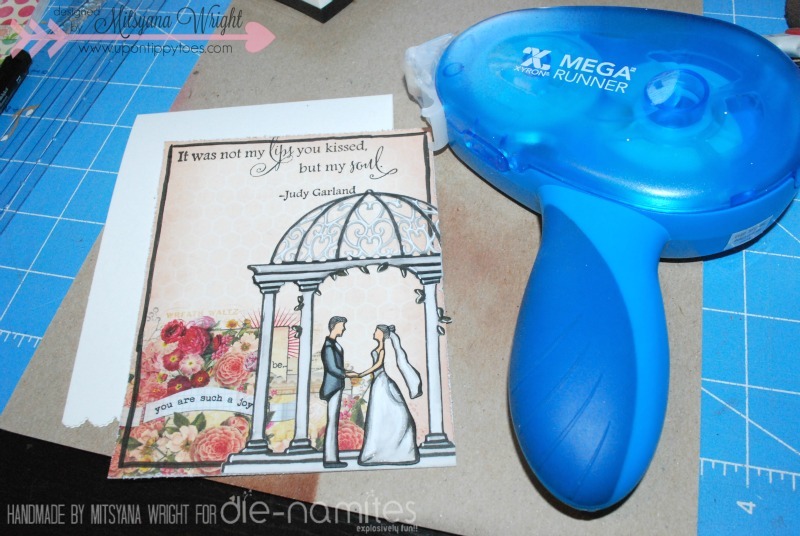 Then used my Xyron Mega Runner to attach my gorgeous couple to my card front, and then attached card front to my card base. Thank you so much for hopping along with us and good luck!! Love this gorgeous card. The gazebo is perfect for this. Thanks for the inspiration! Thank you so much, Mary Calzadilla! Wow!!! This is absolutely STUNNING!!!! Awww, I'm blushing!! Thanks, Suzy!! 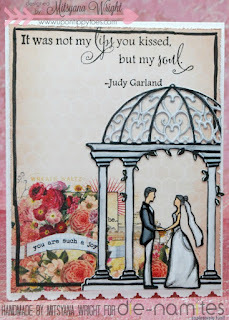 Lovely card with a beautiful sentiment! Thank you so much, my friend!! Hope you have blessed day as well! Lovely card. Very cool sentiment to use. Well done. 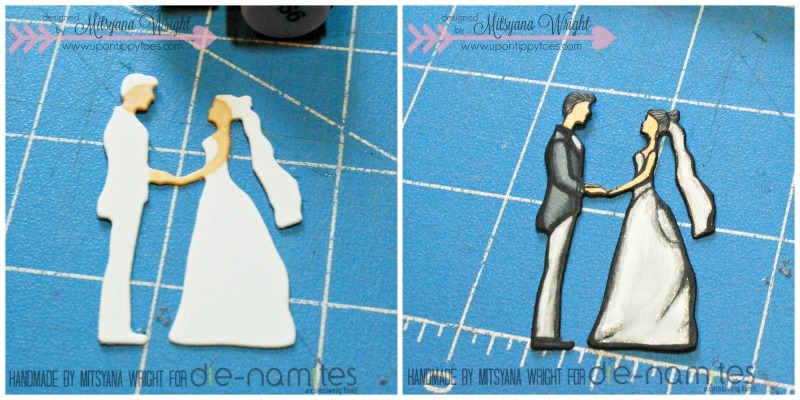 What a great way to make a wedding card. Definitely, Mary!! I can't agree with you more! Thank you so much, Mac Mable!! That is so sweet of you!! Love your blog hop cards!!! They are both totally awesome! Thanks for the pictures. the shading add so much to the dies. Wonderful card and thanks for showing how you made it. I really love it. Gorgeous wedding card! 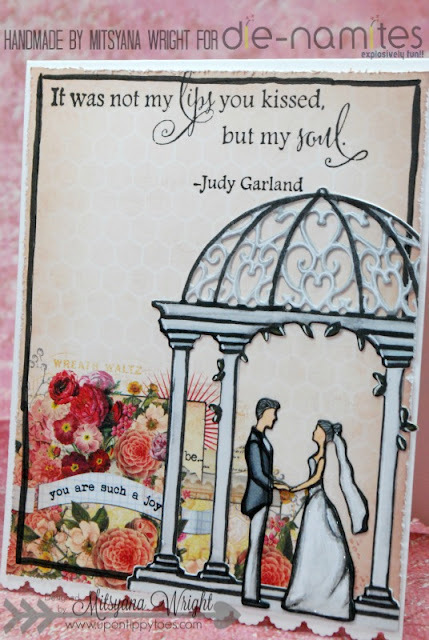 I love the sentiment and the archway! WOW!! This is amazing!!! I'm glad I saw this!